Graphic of the day, from PBS (go to their site for an interactive version of this diagram). You can see home prices peaking in 2007, falling drastically, and then starting to recover. 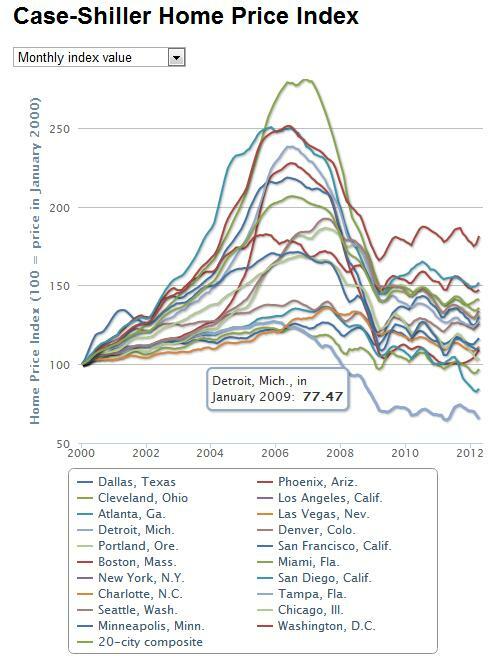 Detroit, however, barely saw any of the peak and prices have continued trending down. Bad news for the Motor City.